Welcome to A-Plan, Guildford, your nearest branch. 204 High Street, Guildford, GU1 3HZ mile away. 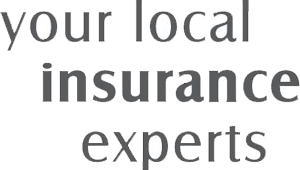 As your local insurance broker, A-Plan Guildford has been serving clients in your area since 2011. We have specialist facilities for private car, home & contents and commercial vehicle insurance. The Guildford office opened in July 2011 and from day one we have been providing a 'top drawer' service at competitive prices. Our number one priority is to find the right policy for your needs at the right price. We will provide you with a smooth journey from start to finish but if anything unfortunate does happen, our in-house claims handler will deal with it all for you, providing you with extra peace of mind at a difficult time. Since opening, we have been heavily involved in the local community doing what we can whenever we can. You will see us at the Clandon Regis golf club and most recently in Guildford's 'Little Book of Offers' so keep your eyes peeled. The team here are fully qualified to a Cert CII level so you can be confident that we can answer any questions you may have. So, whether it's car, van or home insurance we are positive we will be able to save you money without sacrificing service or cover. Call us today for a free quotation and we promise you will not be disappointed. Church referral scheme, we donate if you hear about us through Holy Trinity Church. Your Guildford Branch Manager. Get the right cover at a great price! Put our local team to the test to see how we can help you.